Designed with a fiberglass ring head and pivot design for smooth firm adjustment. 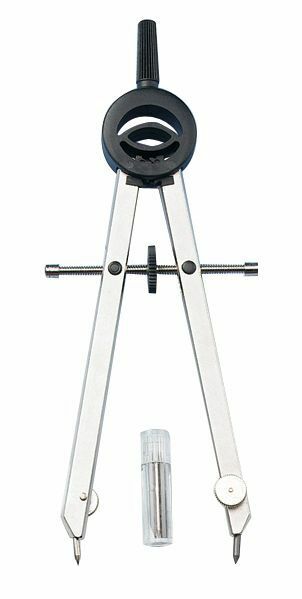 * Accurate center wheel adjusts quickly and easily for circles up to 10" diameter. * Built-in spindle stop prevents overextension. * Supplied with extra lead needle point and T-bolt. * Matte nickel finish resists stains and tarnishing. The circle diameter max is 10". 7" x 3" x 0.75"